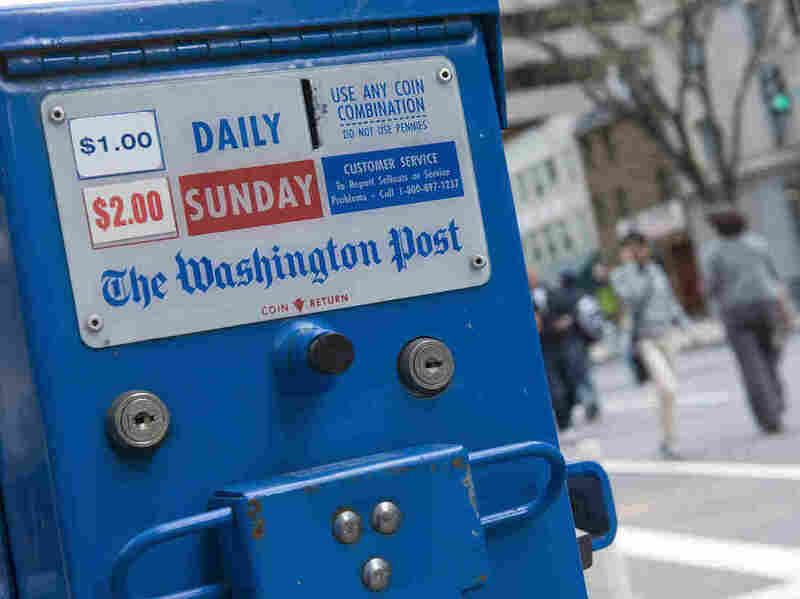 'Washington Post' Editor Steps Down; 'Boston Globe' Editor To Fill Job : The Two-Way Marcus Brauchli has been the Post's top editor since 2008. He'll stay with the company, focusing on new media opportunities. Martin Baron leaves Boston to join the Post on Jan. 2. The Washington Post just announced that executive editor Marcus Brauchli is leaving that position to "become vice president of The Washington Post Company with responsibility for evaluating new media opportunities." His successor has already been hired: Martin Baron, editor of the Boston Globe, will move to the Post on Jan. 2. The Globe, meanwhile, says it "will launch a national search to fill Baron's job." Brauchli came to Washington in mid-2008, after being "forced to resign as editor of The Wall Street Journal, which had been taken over by Rupert Murdoch's News Corp.," as the Post reminds its readers. The Post adds that "according to reports that have circulated for months, Brauchli recently clashed with [publisher Katharine] Weymouth over several issues, including the newsroom's annual budget. Amid a long downturn in advertising, newspapers are under pressure to cut costs." Today, Weymouth praised Brauchli, saying in part that: "Under his leadership, we have become one newsroom publishing on multiple platforms, traffic has grown substantially and we are consistently recognized as among the most innovative mainstream news sites." She also said the Post is "thrilled" to have Baron coming aboard.